"Winter Watering During a Drought"
A bucket of water is worth more than the horse that drank it. Weather people are being hung. Neighbors are fighting over dew. Wheels are being put on boats. We are irrigating with eyedroppers. Nobody cries- they can't afford to. People don't have to make jerky - beef just comes that way. Powdered milk comes right out of the cow. The trees are picking up their roots and leaving. Humps on camels are shrinking. People are going fishing with rakes. Most people are hoarding their water in thimbles. water is worth more than your house. Folks are having to prime their mouths before they can spit. Days, and now months, have passed without measurable rain, i.e., less than a quarter of an inch, in many areas. Some parts of Texas have not had such a rain since March, 2005. A few areas have recently received some rain, but for the most part the drought continues. Does the average homeowner or gardener really understand how much weather affects the plants in their garden or landscape? Let's recap the fall of 2004 and the spring of 2005. Most areas received ample if not too much rain in 2004 followed by a wet fall and winter of 2004 and 2005. 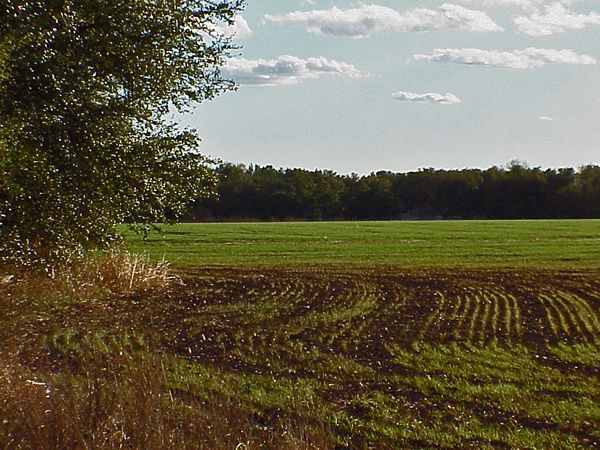 Hence, crops and trees started the spring of 2005 with a full soil water profile. 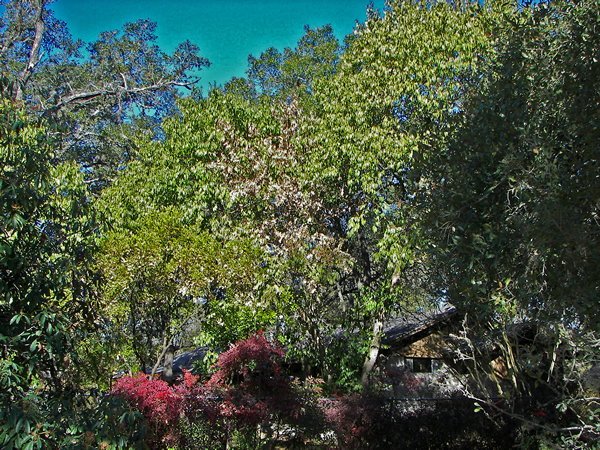 Trees and plants sprouted out and grew well due to the stored moisture in the soil. However, once the rains shut off, the plants used the available water in the soil and became stressed if no water was applied. 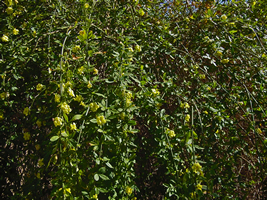 Most gardeners applied water during the remaining summer months and the plants did well. Some did not apply this irrigation water and their plants suffered from leaf loss, leaf color change and poor fruit quality. 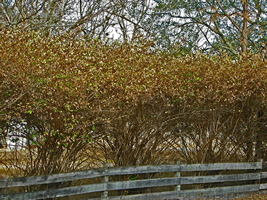 However, once the cool weather arrived and plants began to lose their leaves, most folks forgot about their plants. This is okay in a normal year, but the winter of 2005 - 2006 has been anything but normal. 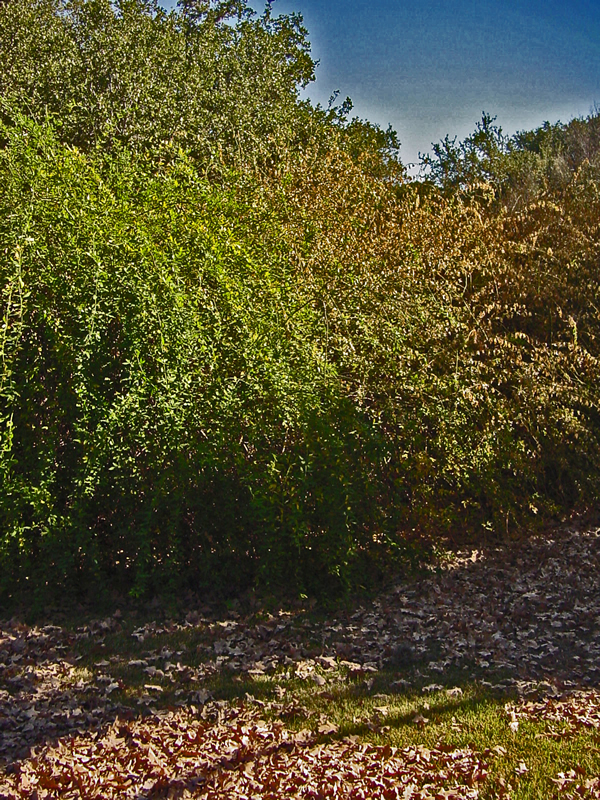 Notice the dull green color of the hedge on the right of the opening in the center. This is caused by lack of sufficient water. Drought-stressed plants turn a dull, pale green color (right) rather than dark, shiny green (left). 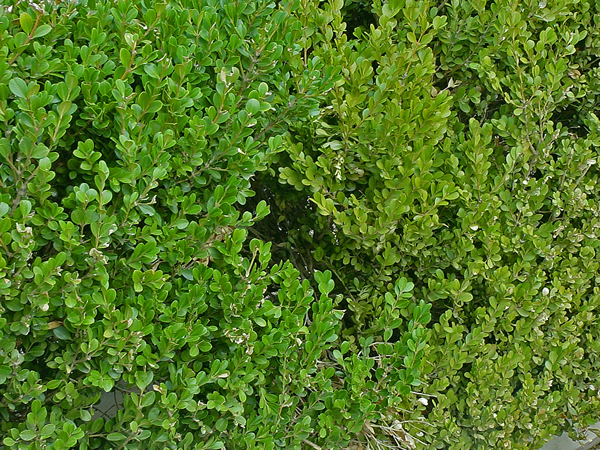 Notice the dark green, watered Rosemary in the front compared to the dull, green foliage in the back of the planting. 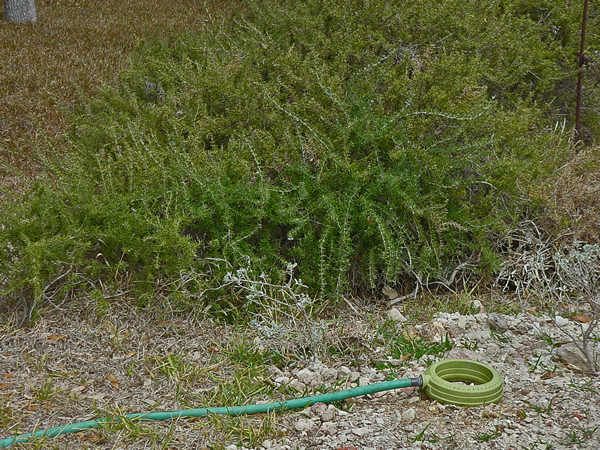 Even drought-tolerant Rosemary greens up after a drink. To have a better understanding of how plants are potentially in danger from extreme water stress we need to examine plant dormancy in detail. 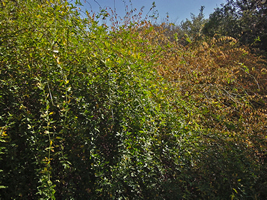 Plants go dormant in the fall due to changes in the day length and temperature as well as the production of growth inhibiting hormones. 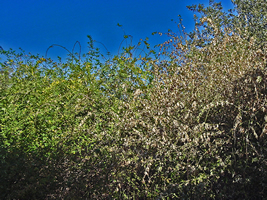 As the days get shorter and cooler in fall, many plants begin producing a growth-inhibiting hormone known as abscisic acid. This growth inhibitor causes plant growth to cease and is typical of plants, which have a chilling requirement like fruit trees. Then over the cool winter months the growth inhibitors are broken down and growth promoters are formed. 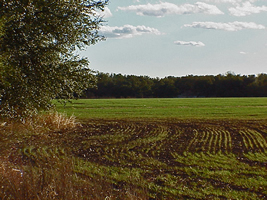 Once favorable weather conditions return, the plants will again begin growth. Realize though that even though these plants are dormant they still need water. True they don't need water for turgor pressure as the plants are not growing, but water is necessary for the movement of potassium and carbohydrates. The key of course is that carbohydrates are complex sugars, so the higher the concentration of carbohydrates in the cell, the lower the freezing point and the less damage that will occur from severe cold. So if water is lacking the transfer of carbohydrates is not as efficient and freeze damage could be severe. In reality though the extent of the freeze damage was created and aggravated by the lack of water. 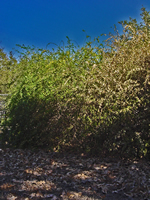 Other plants such as ornamental shrubs do not have a chilling requirement and go dormant due to unfavorable growing conditions, i.e. cool weather and moisture stress. 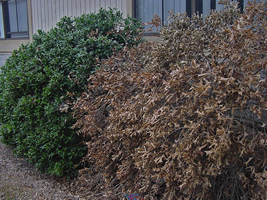 However, make no mistake about it, the leaves are necessary for plants to go dormant. So one would never want to stress their plants excessively from lack of water to make them go dormant. temperatures yet the drought-damaged plants were damaged. 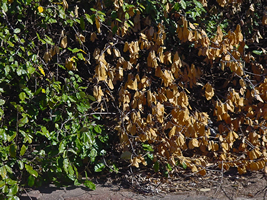 Primrose Jasmine and dry, cold-damaged plants. Where the water stops, the damage begins. 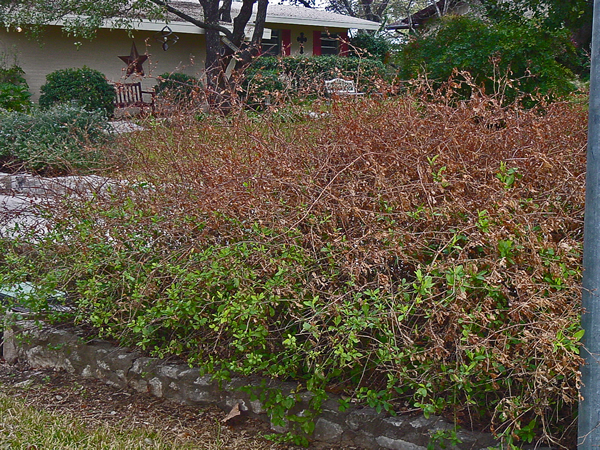 damaged, not-watered-before-a-freeze plants to the right. 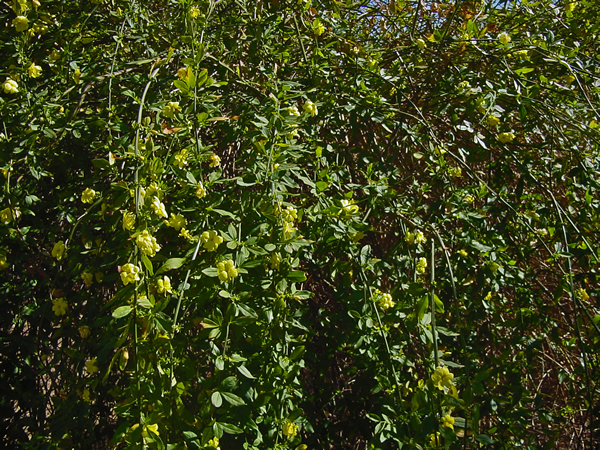 A major symptom of drought-damaged plants is lack of bloom. 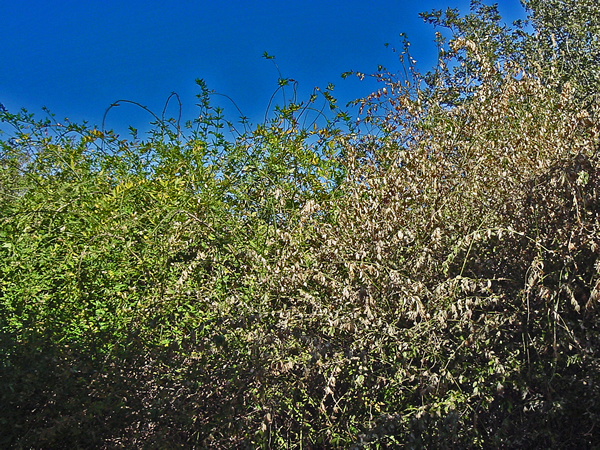 Freeze damage can be much worse on drought-stressed plants. The other thing you have to remember about water has to do with heat transfer. A moist soil will take in more heat during the day and radiate out more heat at night then a dry soil. 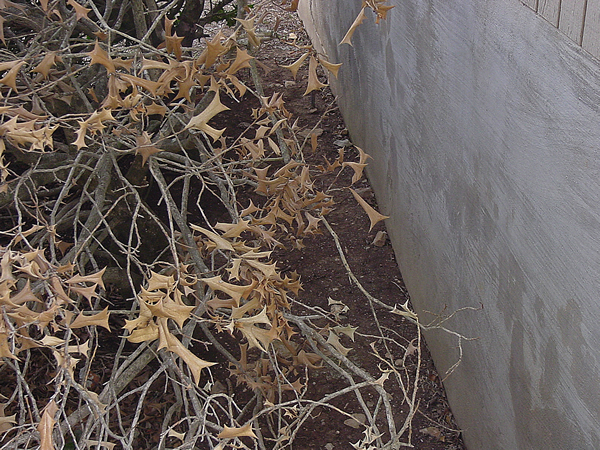 So irrigation prior to a freeze assists with heat movement out of soil, which may be just enough to save your plants. The saving grace has been the relatively mild winter. 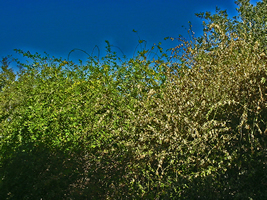 To convince yourself that dormant plants indeed have water, cut a branch off one of your trees and compare it to one which has been on the ground for several months. The fresh one will definitely be heavier. 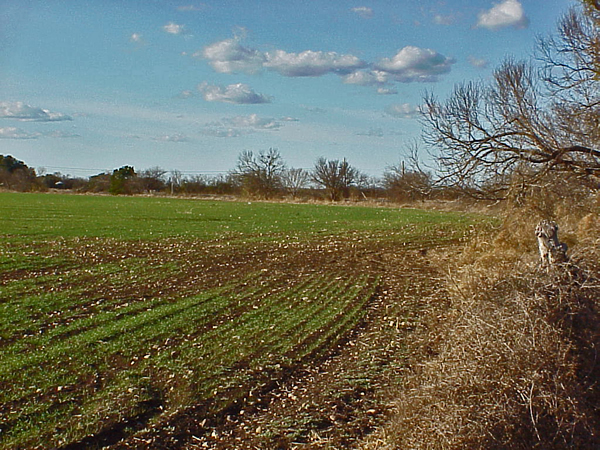 Note also the photo of the tree associated with a wheat field. 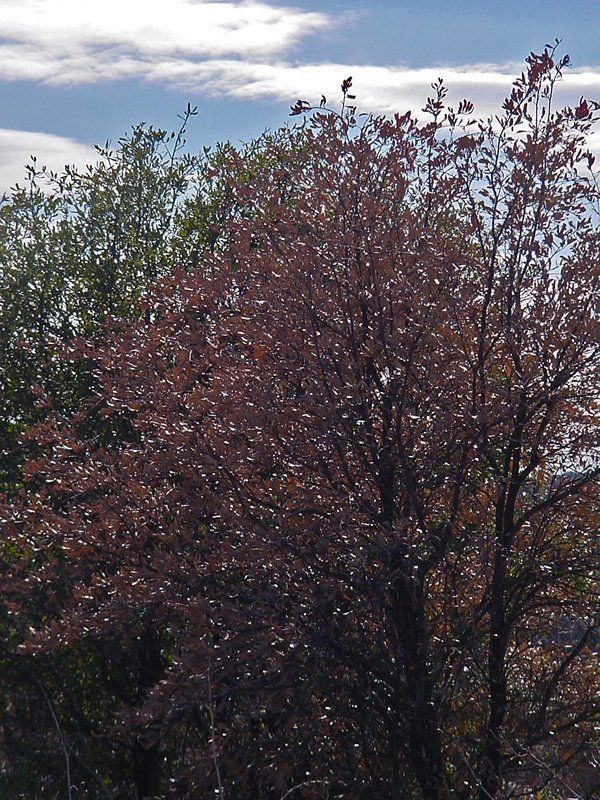 The tree is indeed dormant, but note how the crop is dead surrounding the tree. No doubt the tree is harvesting the water in the soil leaving the crop to die. A brush line can rob all available water and nutrients from grass in a severe drought. Thus, you should water grass under the tree just as much, if not more, than you water grass in the sun. 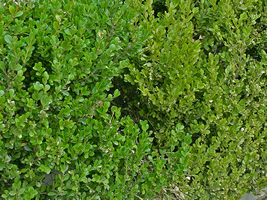 It is easier to associate water with evergreen trees and shrubs because the leaves are still present. They are not growing but the plants must have water to keep the leaves respiring and also prevent desiccation. 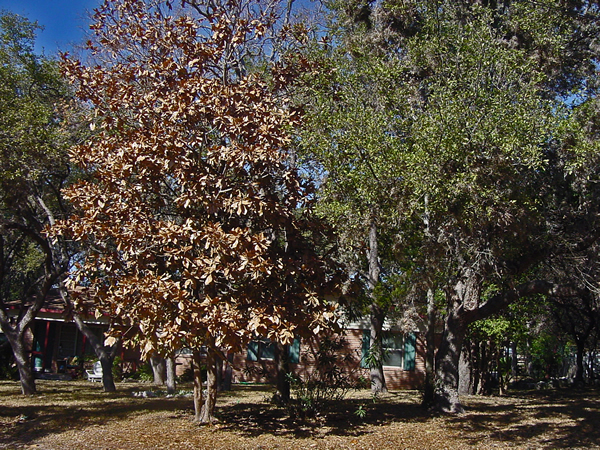 Note the dead crop surrounding the live oak. People have not watered during the winter because of two reasons: (1) Most people don't realize plants need water in the winter when folks think the plants are "dead" or dormant. 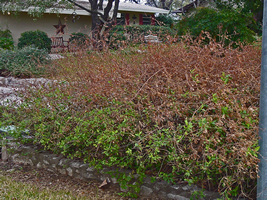 (2) The San Antonio Water System (SAWS) bases its year-round sewer charges on an average of water use between November 15 March 15, when customers aren't normally watering their yards so folks want to lower their yearly water bill. 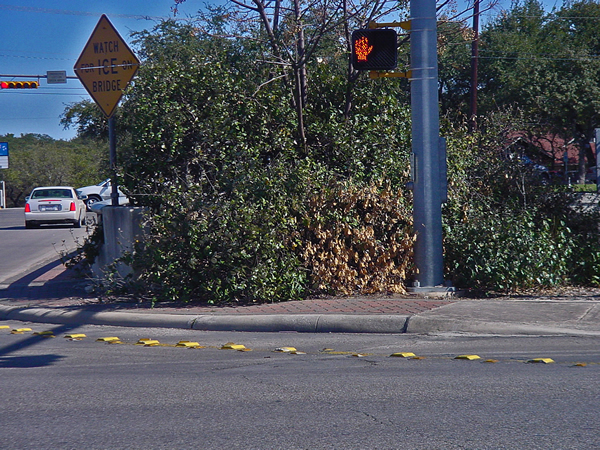 A Roddy Stinson column of Thursday, February 9, 2006, got a clarification of this situation and stated that: "City Hall also gets a cut of San Antonio Water System revenue-- 2.7 cents of every dollar a ratepayer forks out for water and sewer service." "That cut will likely be more impressive in 2006 than it was in 2005. 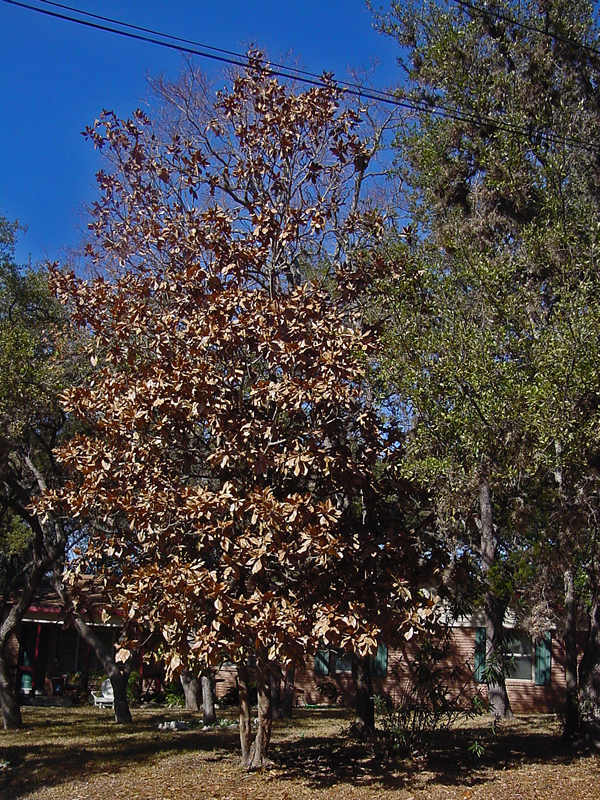 Here's why (as described in an e-mail from a complaining SAWS customer): "Roddy, as you probably know, SAWS bases its year-round sewer charges on an average of water use between November 15 March 15, when customers aren't watering their yards". "During times of normal rainfall, this is fair. 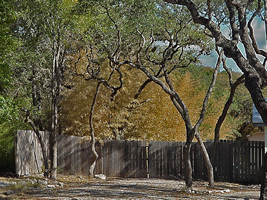 But with the severe drought conditions we've been experiencing, most San Antonians have had to use extra water for outdoor irrigation and to protect their house foundations. That means their sewer charges will be abnormally high for the remainder of the year producing windfall revenues for SAWS. 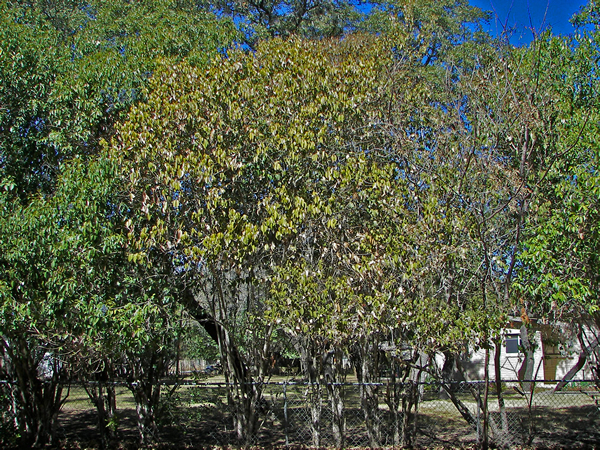 "On its Web site, SAWS advocates that I water my yard once a month. contribute most to a drop in the aquifer level"
**A NOTE: Concerning this totally absurd and irresponsible comment: This is from the Seasonal Irrigation Program (SIP) from the SAWS webpage at: http://saws.org/conservation/SIP/ "But how do you know how much it takes to keep the lawn healthy? Just follow the "Seasonal Irrigation Program" or SIP advice each week. The weekly SIP of water for your lawn is based on a concept called "Evapotranspiration" or "ET" for short. It's a way of measuring the amount of moisture a plant loses through its leaves and soil. This measurement determines how much water a plant actually needs to thrive. It is calculated from weather data each day and adjusted for your type of grass and sun exposure. The ET/SIP concept has been thoroughly tested in San Antonio and has been proven to save water and money for participants. In fact, the average homeowner saves over 5,000 gallons a month. How do you know how much water it takes to keep your lawn healthy? SIP advice is available many ways. It is printed each Saturday in the Home & Garden section of the San Antonio Express-News." -- THE FACT IS that this information HAS NOT been printed in the Home & Garden section of the San Antonio Express-News for months and notice the present entry is dated February 13, only 4 days after the Stinson column appeared. 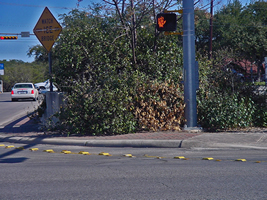 This information comes from the Bexar County Cooperative Extension Office which has been sending information to SAWS during this winter drought but no notification that watering is needed has appeared in the Express-News because "it usually rains during the winter". Well, this winter is not a "usually". So I will blame this oversight on an uninformed decision rather than an intentional effort to save water and damage grass and shrubs. The SIP report should have been used to alert homeowners that supplemental water is needed during a winter drought and adjustments made on the year-round sewer charges. 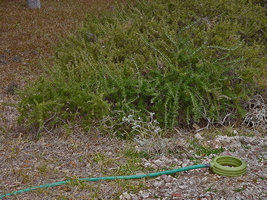 A similar system is also used in El Paso ALL YEAR ROUND and they recommend watering during the winter. The sample grass they use is a dormant Bermuda--so much for the ridiculous statement: "Rather than use more water during these (dry) conditions, ratepayers should be using less. 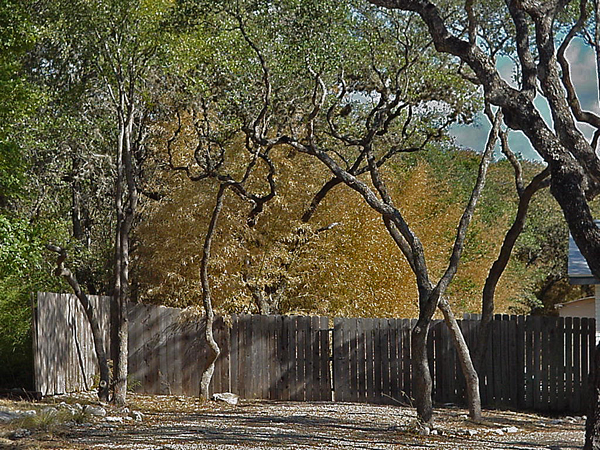 SAWS will not reward those who contribute most to a drop in the aquifer level"
NOTE: They got some of it right but obviously do not understand the difference between summer watering (when trees have leaves which provide shade) and winter watering when grass roots are in competition with tree roots for available moisture. Also, a compensation-for-the-non-watering-period should be made for the first watering. The SIP report concludes with "During winter months, cooler soils and dormant plants need watering no more than once per month. If your landscape has received no rain in the past month, use these amounts to water after 8 p.m. or before 10 a.m."
"(The current policy) will remain in effect until it is evaluated as part of the next comprehensive rate design process in 2008." A NOTE: I don't know about you but I am counting the days until "the next comprehensive rate design process in 2008" so we can remedy this travesty of water use for landscape health and maintenance!! The old saying is: "Fool me once, shame on you; Fool me twice, shame on me!!" account and used to offset years when there are revenue short-falls." Bottom line: SAWS customers will not get a break on their bill. Ratepayers who water their bone-dry yards between November 15 and March 15 will be hit with higher sewer charges. And both SAWS and City Hall will enjoy "higher revenue." Fortunately the SAWS windfall will be considerably smaller than the CPS Energy windfall. So City Hallers will do well to purchase one high-tech toilet, support two avant-garde artistes and provide legal representation for North Side trees whose names begin with a vowel. 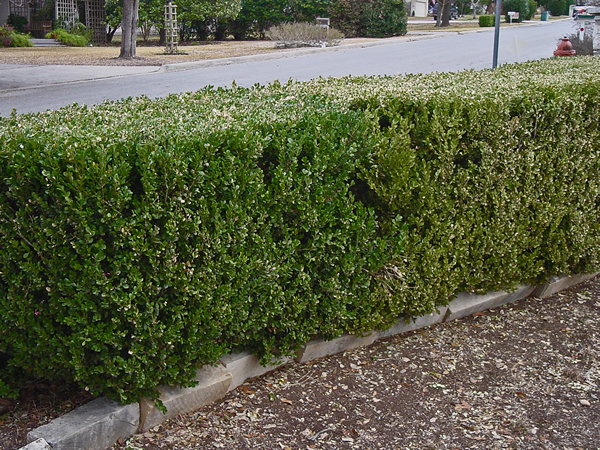 Regardless of this heartless and ill-conceived approach SAWS has chosen to take concerning landscape maintenance and the extra money it may cost you, you need to make it a point to water your landscape plants every four to six weeks during the winter months when rain (less than 2 inches) is not received. 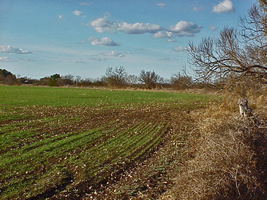 On average a typical soil profile will store enough water to last a plant about two to three weeks during the growing season. 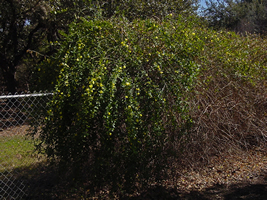 During the winter, plants are using much less water, but it is still critical, so the stored water will carry the plant much farther. Normally we will get rain and/or drizzle during the winter which will add up to an inch or two during the winter months, so normally we don't worry about water. This has not been true during the winter of 2005-2006. THE PLAN: So if you have not received on your property at least a one-inch rain in the last month you need to water your landscape NOW. This water will be critical for the growth and survival of your plants. It is even more critical prior to a really hard freeze because freezing is a desiccating process, which pulls water out of the cells. 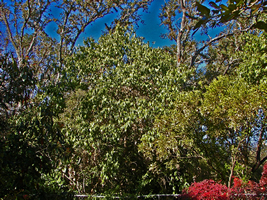 The key when you water your landscape in that you remember your trees and shrubs. 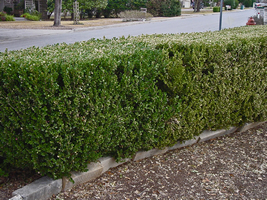 Most yards are equipped with sprinkler systems to water the grass, but in most cases this does not help the shrubs because the systems are installed outside the shrubs so it distributes the water out onto the lawn area. Your shrubs should have a soaker hose with enough pressure to squirt water at least 3 inches high from all orifices (openings in the hose). 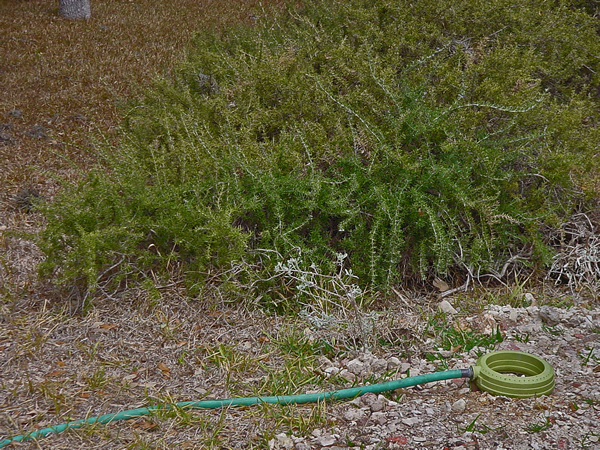 The soaker hose should then be inverted in the area between the foundation of the house and the base of the shrubs. Three or four inches of mulch should be applied on top of the hose and around the shrubs, being sure to keep the mulch at least 12 inches from the house foundation to attracting termites into the house. This system should be operated four hours a day every two weeks in lieu of an inch or more of rainfall. This will also prevent foundation cracks. 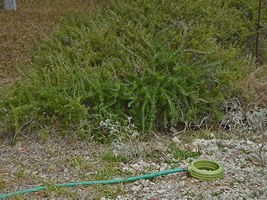 In times of severe stress it may be necessary to apply additional water by using this same system at the drip line of trees to insure they are getting adequate water. 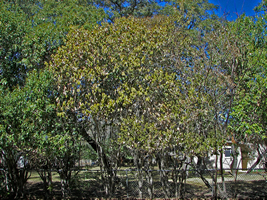 Most trees, shrubs and grass would like to have an inch of water a week. Soil holds enough water for two to three weeks, so you need to water at least every three weeks during the growing season unless rain is received. 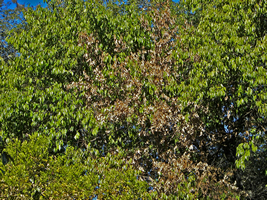 Dying Hollies are a surefire indication of a severe drought. and does not adequately water the shrubs. 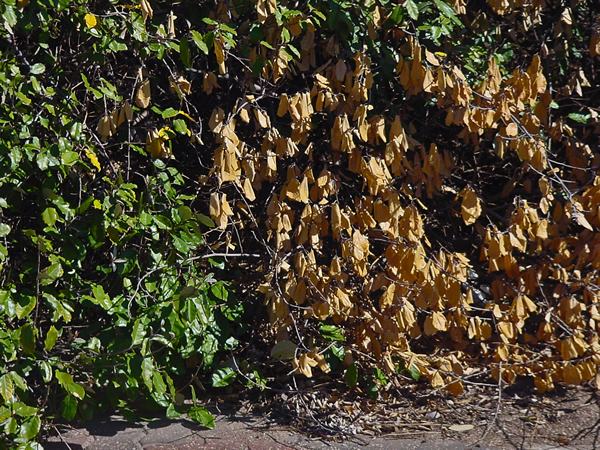 It is too late to stop the demise of a plant with dead leaves. first as severe drought damage begins to appear. Water should be applied so as to push the water to at least a foot to eighteen inches. So water less often, but for longer periods of time at a slow rate. The most ideal system would be to apply the amount of water that the crop lost every day. However, you must remember that when you attempt to do this, your plants will become totally dependent on you and when you stop watering the plants will die. 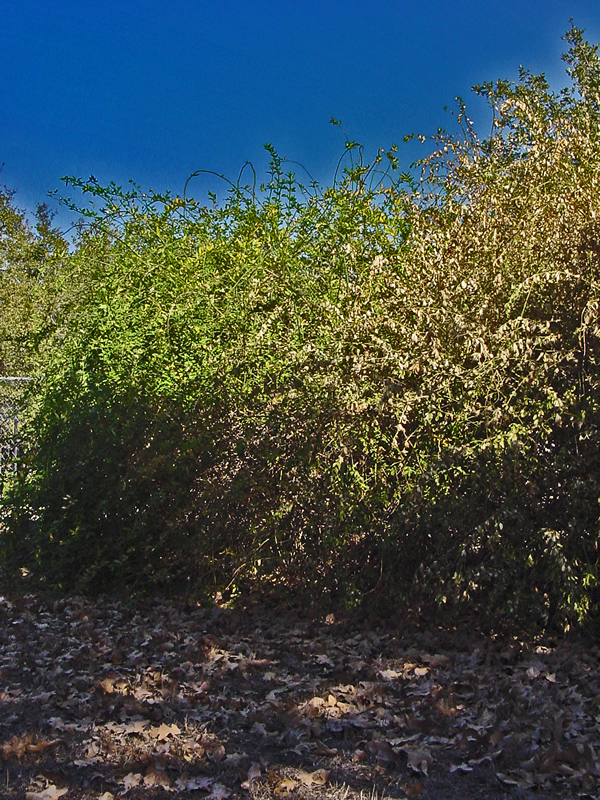 The biggest question remains as to the type and amount of damage we will see on our landscape plants this spring due to the lack of water. 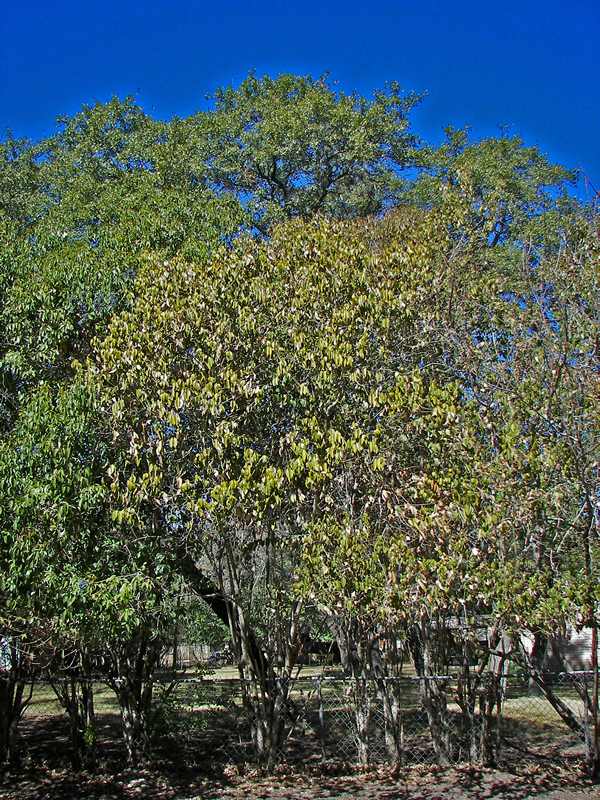 I would not be surprised to see trees which are slow to leaf out and have sparse, reduced-in-size foliage. If the trees are not watered or it does not rain prior to the spring push, they may not leaf out at all. New roots must be initiated in order for the plants to take up water. Without water the new roots cannot develop and water and nutrients cannot be absorbed. Logically then, growth will not occur. 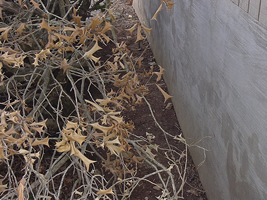 The good news with drought stricken plants is that they typically die back to what the root system can support. This may be only the main trunk. However, as long as adequate water is received the root system will re-generate and the plants will re-grow. So what we need to do is wait to see where the strongest shoots are and cut back to that point. 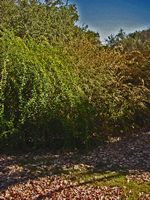 If the drought continues it will be critical to conserve water with heavy mulching. Remember, no matter how much mulch is applied, if adequate moisture is not applied or received under the mulch into the soil profile, all the mulch in the world will not save your landscape plants. 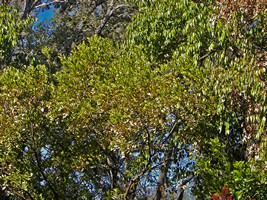 Also remember that the number of leaves a tree has determines how much water it needs and uses. 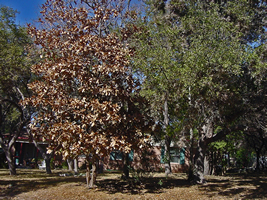 So pruning limbs and reducing the number of leaves will reduce the amount of water required to maintain a plant in a healthy state. 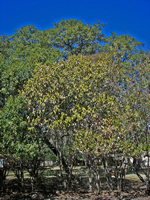 Also, the good news is that native and permitted exotic trees can survive without supplemental water according to Mark A. Peterson, Regional Community Forester - Alamo Region, Texas Forest Service. 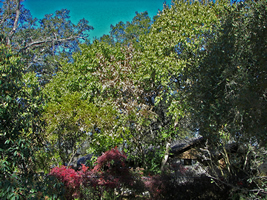 Mark writes: "I have yet to see the elves and pixies watering trees in the native forest. 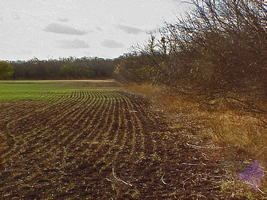 Granted, humans continue to "muck up" the native soil and ecosystem and to eliminate roots and root space, thereby necessitating the need for supplemental water. 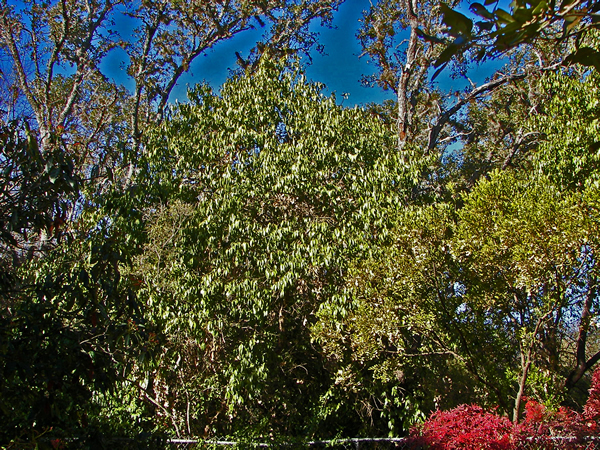 And, of course, trees in islands and confined root spaces should be treated differently. 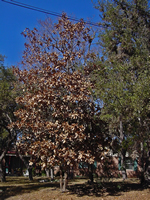 However, established native trees, with adequate soil volume [i.e, more than 2 cubic feet per one square foot canopy area, Bassuk et al], can survive without supplemental water." 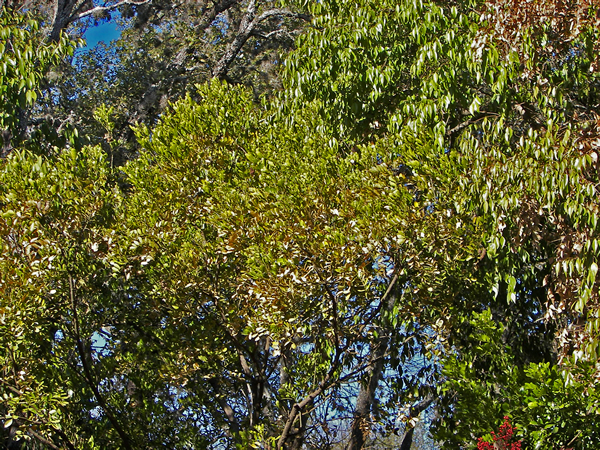 Even some large, well-established trees fall victim to drought. 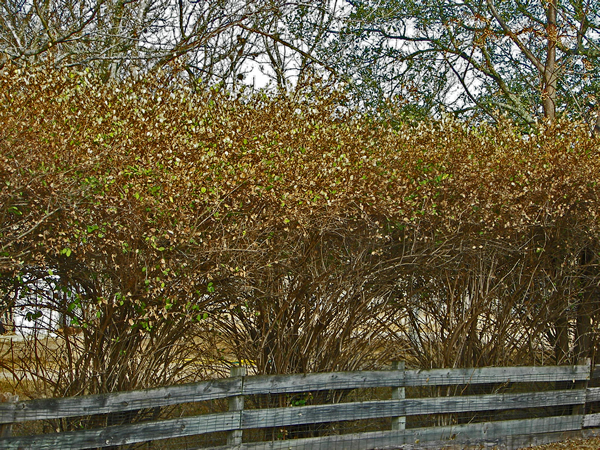 Ligustrum drought damage is obvious.